“Hmmmm. Two can play that game,” I smirked, and when possible, I leave behind a token, “Thank you” smile. The top image is there to remind you that the spring equinox approaches, and in a month some of us will be marking the sun’s shadow at noon and possibly again at sunset. (June Solstice Sundial) Please consider awakening your inner compass and reconnecting with our earth and witness the sun’s path across our horizon! The sun’s annual shadow walks from one side of the wall to the other! 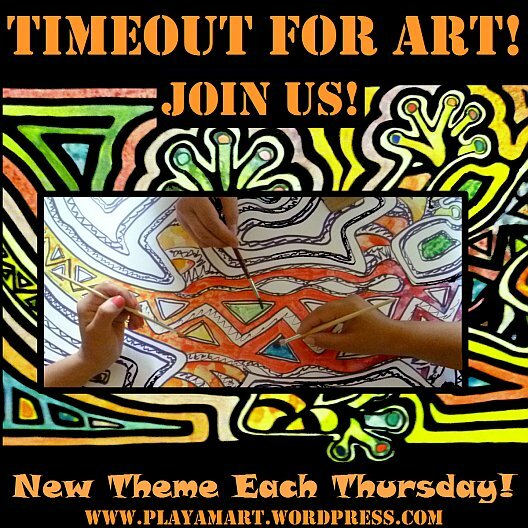 There are so many options to take timeouts for art! Tap into your talents and start a new project – it can be as easy as marking the sun’s shadow and pondering the token parts we play in this amazing journey of life! We love to trace the different paths of the sun during the year — the way it throws light and shadow in a different place each day. It is fascinating — but something you don’t get where you live, I suppose? it’s amazing how much the sun changes from solstice to solstice. when one thinks about it, it makes sense.. we watch it trek way north til it stops in june, and then it treks way south til december. our noon shadows on those solstice days are quite long.. we should all post shadows on the solstice and equinox days and compare from different points in the world! my like keeps getting erased! well shame on the like button!!! sometimes it’s frustrating when those bells and whistle fail to load properly! i’m in ‘town’ where i remain in shock that the buttons work, the notification window loads, and i can read and reply to comments – and they actually go through the first time!! yippee! tomorrow i’ll be returning home, where it’s in dinosaur mode! oh yes, that sounds like costa rica’s september and october months, and there’s usually a nasty hurricane swirling around during that september equinox…measuring the sun’s march toward the final solstice point is always a great lesson.. mark it with three rocks, and start about a week before the day of the solstice.. it’s amazing how much it changes daily and then magically ‘stops’ then begins its retreat the next day… it really helps one realize how much the planet changes from day to day… and to grasp the concept of the seasons. thanks! i would start with that bucket of a mailbox, and maybe it would prompt the entire neighborhood to switch to machine-proof buckets!!! one of these days i would LOVE to return to ometepe, visit more petroglyphs (and the ones i’ve visited before) and note what’s changed on the island – good and bad. it would be such a pleasure to visit your pretty spot in paradise, meet the people that color your life and bask in the love that you’ve put in your place… and if i am able to prompt you back into painting huge works of art – or lots of minute ones – it would be lagniappe! you’re a very multi-talented person, and i love following your tales of life on that unique island! This is beautiful, wonderful friends are a gift – you guys cherish each other, nothing better. Love your work, but as a token is priceless. am letting a wash of ‘green’ dry and will be checking out soon! sigh.. back to slow internet til next week! I’m still smiling at Cindy! 🙂 Technology? Pah! Now being dazzled by the sun as it slides down the sky- that I can do! YES! it’s amazing to watch the shadow, even during the final hours of the day; it doesn’t slide straight down, but at an angle, so marking it at 3 won’t reflect where the sun sets at 6! The plate looks like an eye.